Expired 11mo ago . Last validated 11mo ago . Used 168 times. 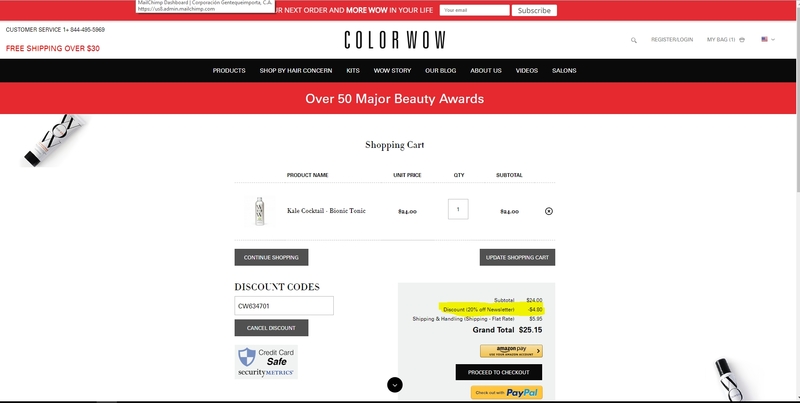 ana karina diaz I have tested and verified this deal and it works perfectly, just apply code CW634701 at checkout and get 20% Off Your Order at Color WOW. Cristi "I am validating that this deal works as described. 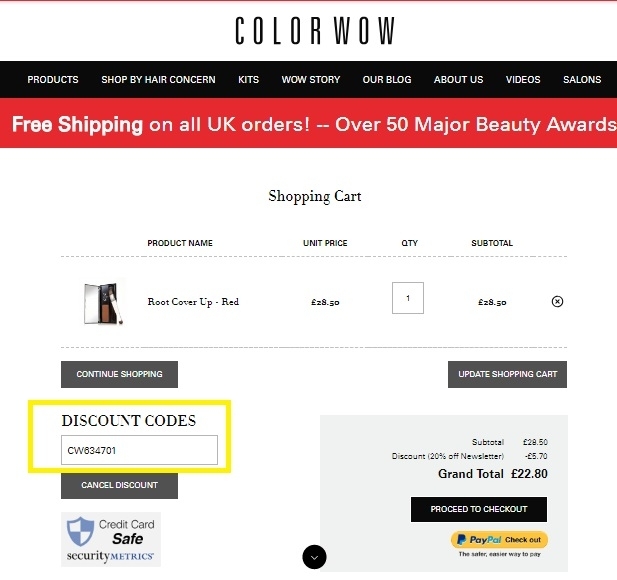 Enter code and Get 20% Off Your Order at Color WOW (Single-Use Code) . This is a limited time offer." 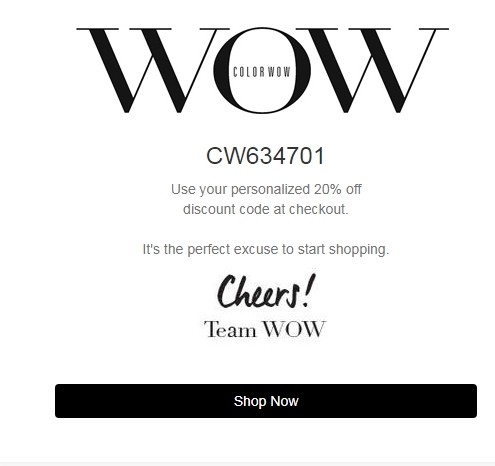 Mariela Marcano This offer is properly working, all you need to do is copy and paste the code <CW634701> at checkout to get 20% Off Your Order at Color WOW. 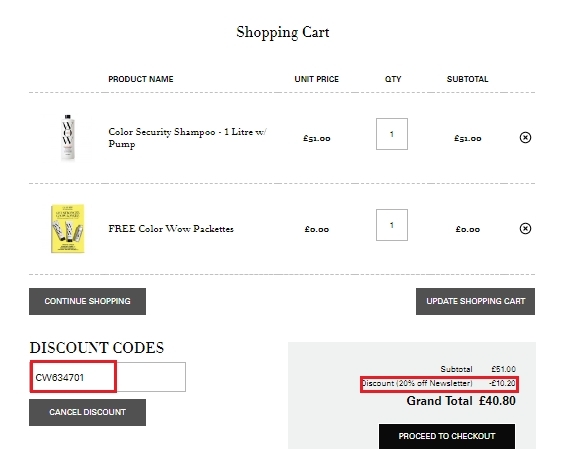 john copper "I am validating that this deal works as described. 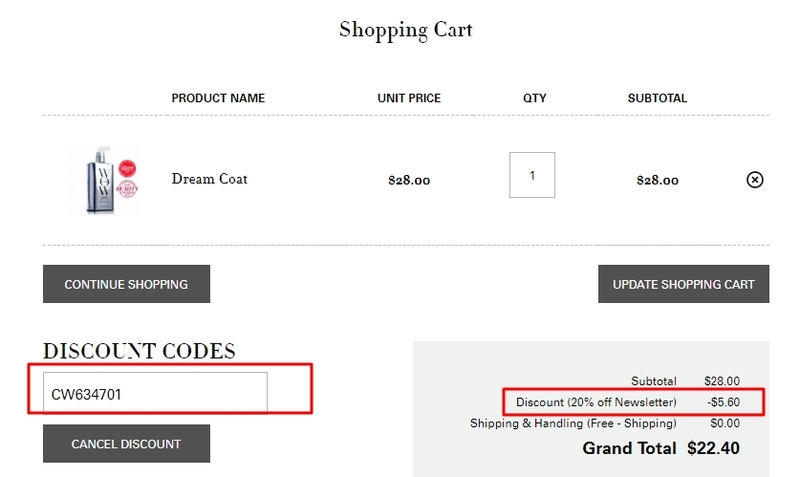 Just apply the promo code and Enjoy 20% Off Your Order" Hope that helps!